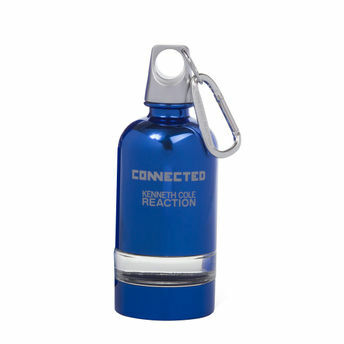 Kenneth Cole Reaction Connected Cologne by Kenneth Cole is directed towards men who lead an active life, love to explore the world and yet like to keep in touch with their bohemian lifestyle. The nose behind this fragrance is Rodrigo Flores-Roux. Top notes are mandarin orange, persimmon, red apple, violet leaf and mangosteen; middle notes are cardamom, amalfi lemon, clary sage and resin; base notes are oak moss, mahogany, tobacco and driftwood. Explore the entire range of Perfumes (EDT & EDP) available on Nykaa. Shop more Kenneth Cole products here.You can browse through the complete world of Kenneth Cole Perfumes (EDT & EDP) .